Not hard to find a picture of Hughes invading a player's space. 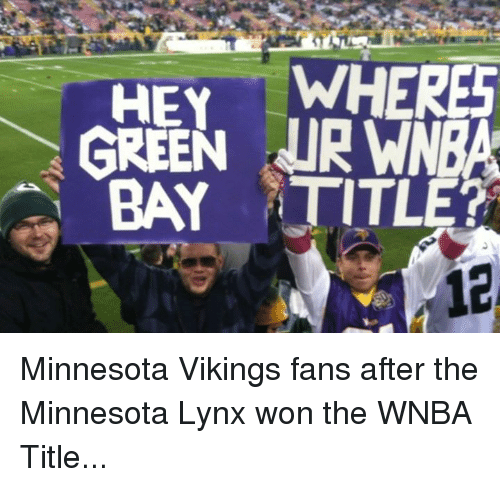 You trying to make a point ??? Do you think it is appropriate to get that close to players? Was that your point? 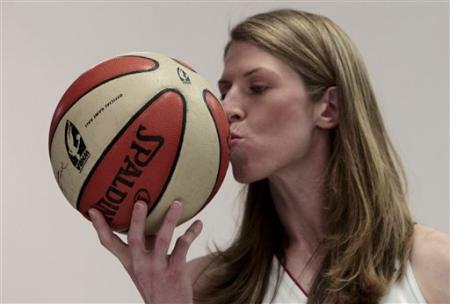 Does Katie Smith know where that basketball has been? Ok, so I'm a few days early! 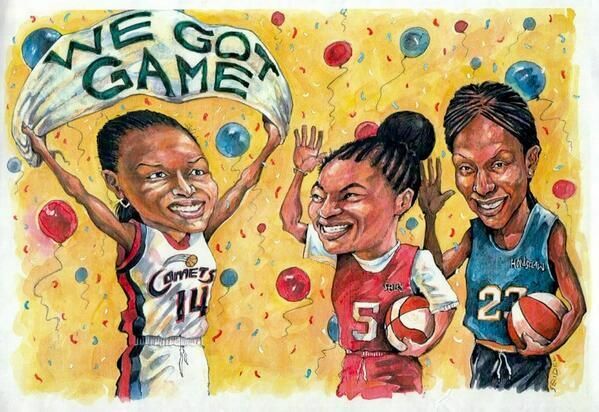 Here's a drawing of (left to right) Cynthia Cooper, Dawn Staley, and Chamique Holdsclaw. 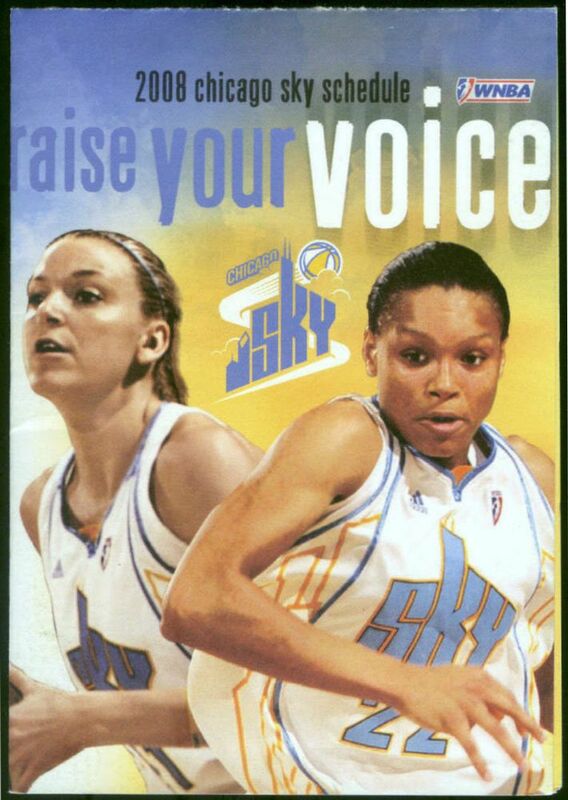 Who are these two Chicago Sky players? 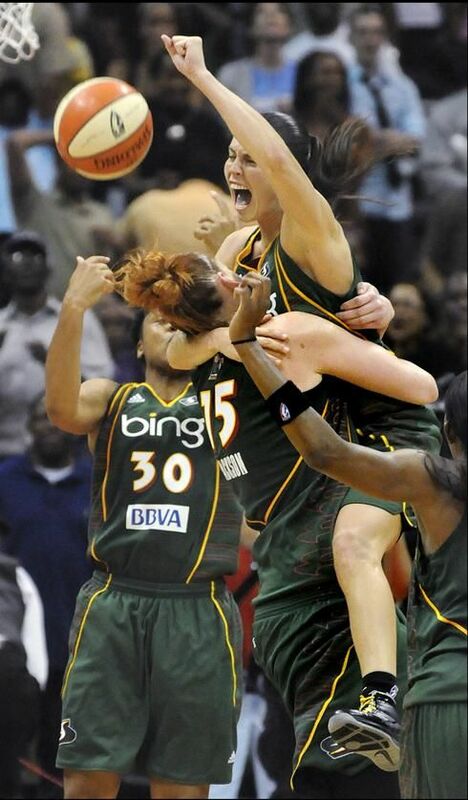 The one on the left looks like Brooke Wycoff, though I'm not sure. 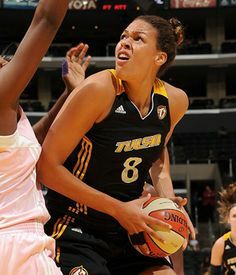 Let's hope that future WNBA Drafts do not take place in such a crowded, tightly-packed space like the Samsung 837 building in 2017! 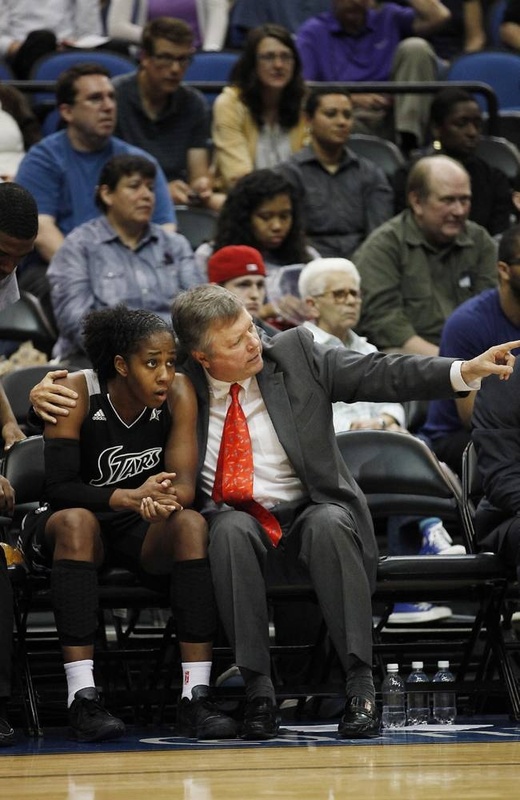 Pretty sure the left is Wyckoff, but the right is *definitely* Armintie Herrington. 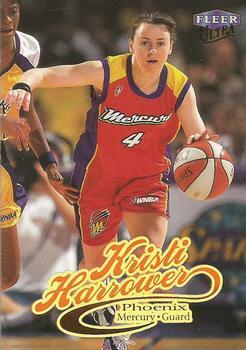 For significant service to basketball as a competitor at the national and international level, as an Olympic athlete, and as a mentor for women in sport. Legend, Hall of Fame, 2016. Inductee, Hall of Fame, 2006.
International Player of the Year, 1994 and 1996. Captain, Sydney Olympic Games, 2000. Player, Olympic Games, 1988, 1996 and 2000. 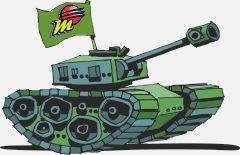 Assistant Coach, Bulleen Boomers, 2009. 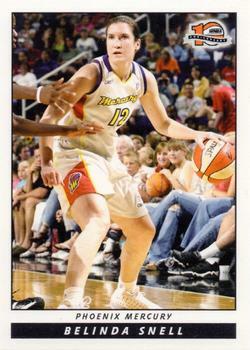 Inaugural Player, Phoenix Mercury, Women's National Basketball Association (USA), 1996. 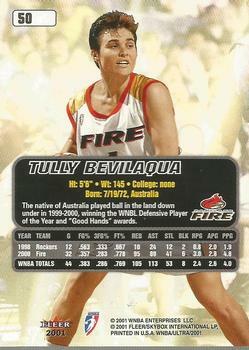 Past Assistant Coach, Chinese National Women's Basketball Team. Player, Lotus Munchen, German Federal Basketball League (DBBL), 1989-1990. 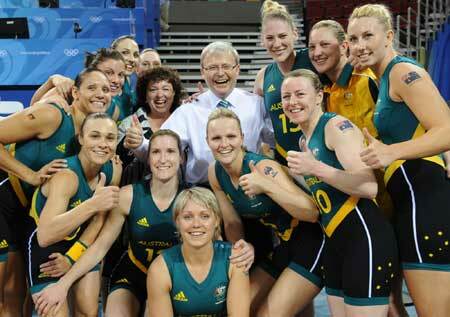 Inductee, Hall of Fame, International Basketball Federation (FIBA), 2016. 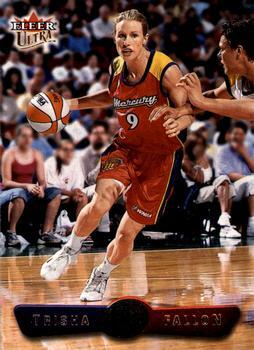 Inductee, Hall of Fame, Women's Basketball (USA), 2008. 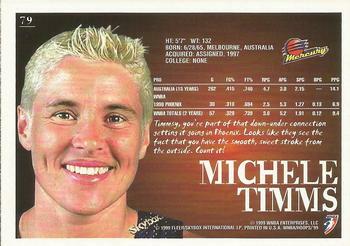 Inductee, Hall of Fame, Sport Australia, 2004. 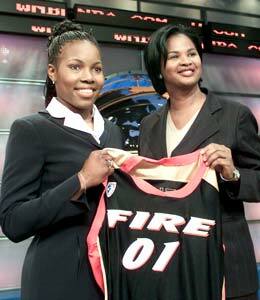 Tasha Pointer during the 2001 Draft Day. 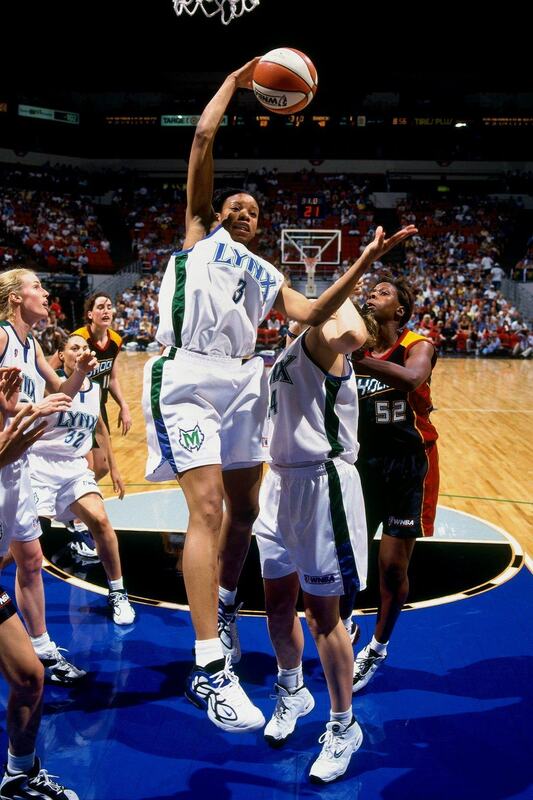 She was recently named the new Head Coach at the University of Illinois - Chicago. 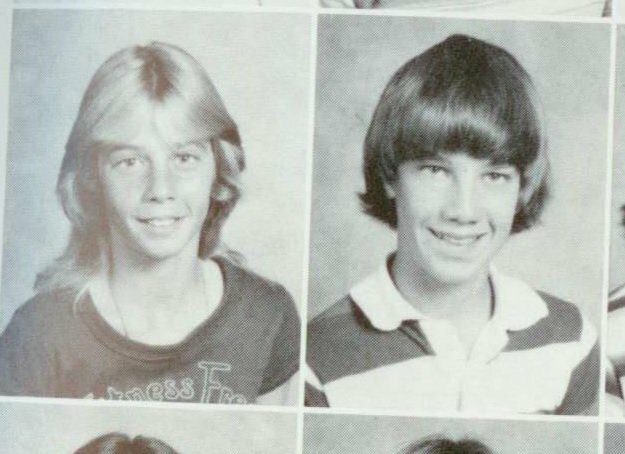 Is the one on the right Renee Brown? Why was she there, and not Val Ackerman? Val only did the first round. Pointer wasn't taken until the 4th round, well over an hour after all the other invitees had been selected. On this 4/20 day, here is a 2016 article and photo of Brandy Reed, who was suspended in 2002 after her arrest for marijuana possession and driving without a license. Omg a Planet Reed Sighting !!! 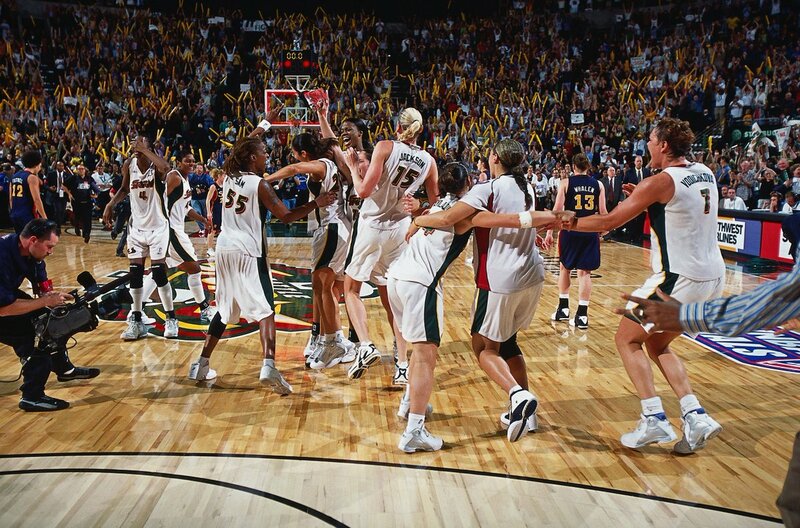 Who are the rest of the players in that photo? I think the blonde is Aussie Trisha Fallon.